The movie Hidden Figures tells the story of four black women who worked at the National Aeronautics and Space Administration during the manned space era. Although their work was critical to the space program, they were relegated to second-tier status not just because of their gender, but also because of their race. 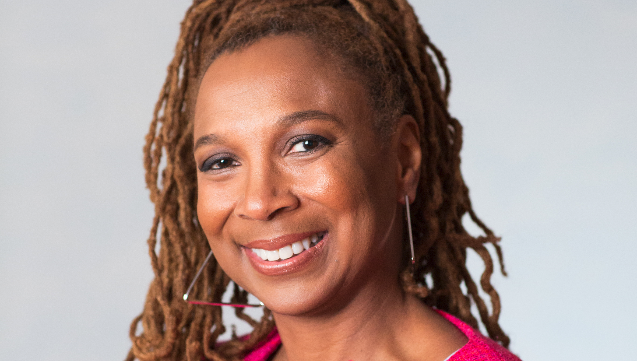 Those women are prime examples for what Dr. Kimberlé Crenshaw sees as the necessity for “intersectionality.” Crenshaw, who initially coined the term some three decades ago and has spent her professional life working on it along with critical race theory, defines intersectionality as the connection between two constructs such as race and gender. It's at that connection where work to combat discrimination can be most effective. Crenshaw, the executive director of the African American Policy Forum (AAPF), splits her time as professor of law at both Columbia University and at the University of California, Los Angeles. Now in its twentieth year, the AAPF is a think tank that connects “activists, academics and policy makers to promote efforts to dismantle structural inequality.” She's also the director of the Center for Intersectionality and Social Policy Studies at Columbia Law School. You may recognize Crenshaw from her national work. The AAPF has developed a series of initiatives, including Say Her Name, that gives voice to women of color killed by police. The Black Girls Matter initiative points to the excessive disciplinary actions black girls face compared with their white counterparts. An activist in her college days, Crenshaw earned her bachelor's degree at Cornell University NY in Africana studies and government and a master's degree in law at the University of Wisconsin. She received her juris doctor from Harvard University MA. While in Madison, Crenshaw clerked for Shirley Abrahamson, who was then chief justice of the Wisconsin State Supreme Court. She credits her time with Abrahamson as the “fork in the road” to the life she has now. Joining the academy and working on racial issues rather than becoming a partner at a high-powered law firm was a choice that “for some people was economically insane,” she said. But for Crenshaw, it's all about doing something you're passionate about. “Is your mind hooked up to your soul?” she asked, rhetorically. Long noted for her academic accomplishments, Crenshaw has also earned a seemingly endless list of awards. A Fulbright Distinguished Chair for Latin America, she was named the 2016 Fellows Outstanding Scholar by the American Bar Foundation. Crenshaw was twice named Professor of the Year at UCLA Law School and spent a fellowship at the Center for Advanced Study in the Behavioral Sciences at Stanford University. A founding member of the Women's Media Initiative, you'll find her work in Ms.magazine, The Nation and other publications. She's appeared as a regular commentator on NPR, MSNBC and The Tavis Smiley Show. Her most recent honor is the 2016–17 Joseph B. and Toby Gittler Prize from Brandeis University. The prize, given for “a body of published work that reflects scholarly excellence and makes a lasting contribution to racial, ethnic or religious relations,” includes a medal, $25,000 and the opportunity to lecture at the Massachusetts campus. Her lecture topic has been a “moving target.” “Two months ago, I had a very different topic in mind,” she said. “The issues in front of us will be ripened by the time that talk happens. Ask Crenshaw how she came to study the topic of intersectionality and her response is that it's “like peeling an onion.” As an activist, she realized racial justice was seen as gendered and focused on men. It didn't take into account justice around gender and sexual orientation. It was difficult to persuade courts to change or to look at both, she said. That meant there was no place for women of color to get justice, especially in cases of violence against them. The circumstances of vulnerability are often quite different among black, white and immigrant women. For example, Crenshaw noted that because domestic shelter services are listed only in English, those who don't speak the language can't access them. Crenshaw has studied how black women, in particular, have higher levels of police and sexual violence. But that reality doesn't show up in the movements that fight against husband/boyfriend/stranger violence. “Very few anti-violence groups are getting behind the police violence against black women” like they have against black men, she said. Given the status of politics today, we need a new focus on intersectionality rather than just on building coalitions. Coalitions are weak, she said. The “you scratch my back, I'll scratch yours” type of thinking can't compare to movement building based on intersectionality, which can form tighter and more organic connections as well as reflect the constituencies that already exist. Those who fight against racial violence should welcome members of an immigrant rights group who fight against violence against women. “Their advocacy doesn't overlook specific ways they can help,” explained Crenshaw. Crenshaw grew up in Canton, Ohio, the daughter of two schoolteachers. Her mother taught for 50 years, along with being a church organist and musician. The peripatetic Crenshaw definitely leads a full life. She flips coasts each semester and admits she will often look for a particular suit or book only to realize it's across the country. Crenshaw does take an annual vacation in Jamaica at a social justice writer's retreat. “It's a nice place to do collaborative work,” she said. In her spare time, she loves to cook, especially Thai food. “I cooked a meal for Derrick Bell, one of my mentors, and his wife,” she recalled. The late Bell (the first tenured black professor at Harvard Law) was hesitant to eat it. “He didn't think I had any domestic skills,” Crenshaw said. But her messy kitchen proved otherwise.